Janets Just Delicious range of Pizza and Pasta sauces are available from SuperValu and all good Independent stores nationwide. 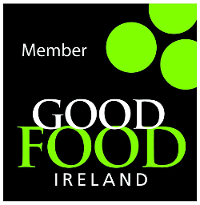 Click here to visit the Supervalu store locator. Janets Just Delicious range of chutneys and relishes are available in all good Independent stores nationwide and selected Dunnes Stores. Janets Country Fayres range of Chutneys and Relishes are available in all good Independent stores nationwide. Are you interested in stocking our products ? Contact us directly by email at info@janetscountryfare.com or by phone at 00353-1-2018008, or alternatively contact one of our distributors.